Grammy Winning Producer Vance Powell Talks About Using The Copperphone! Three time Grammy winning producer Vance Powell (Jack White, , The White Stripes, The Raconteurs) talks about how he uses his Placid Audio Copperphone on drums. 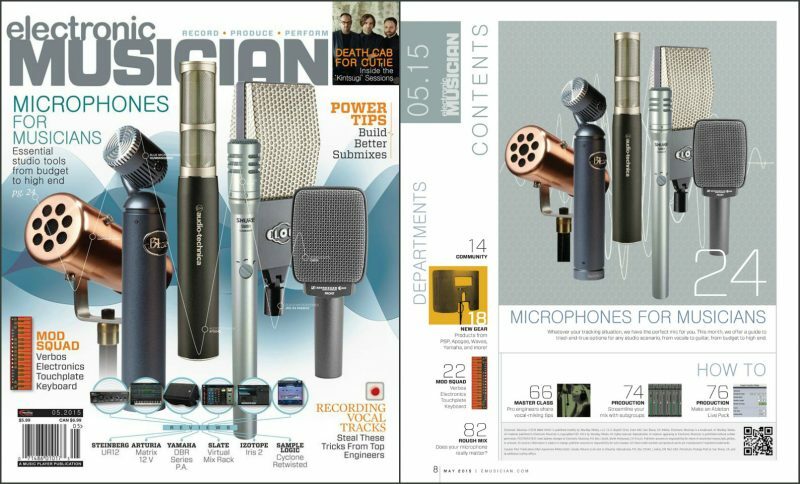 The Copperphone Mini Makes The Cover Of Recording Magazine! 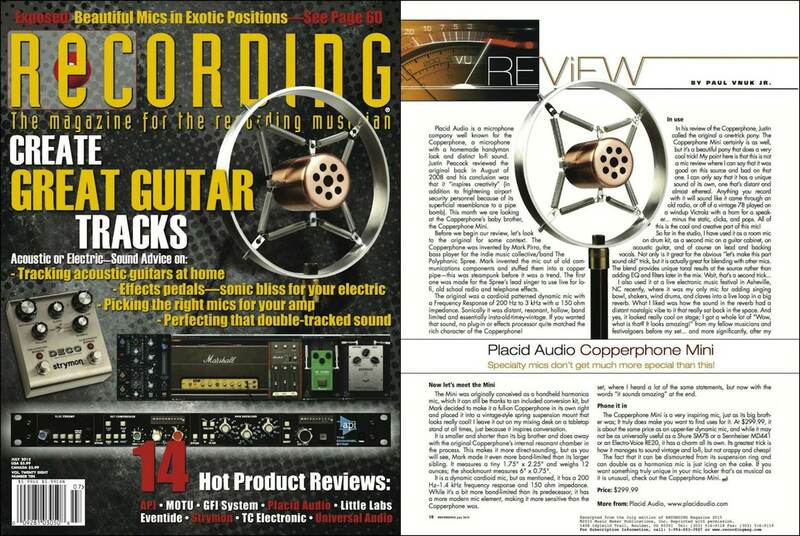 Stellar review of the Copperphone Mini in Recording Magazine! Read the full article here. Placid Audio Makes the Cover of Electronic Musician Magazine! Electronic Musician did a nice review of our entire line of microphones. Read the full article here! Copperphone Reviewed By Edgewater Studios! Producer Derek Hames from Edgewater Studios giving a nice quick demo of the Copperphone on vocals. 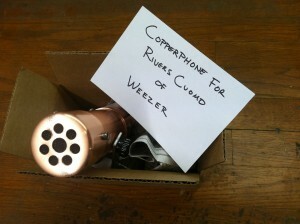 Copperphone for Rivers Cuomo of Weezer! 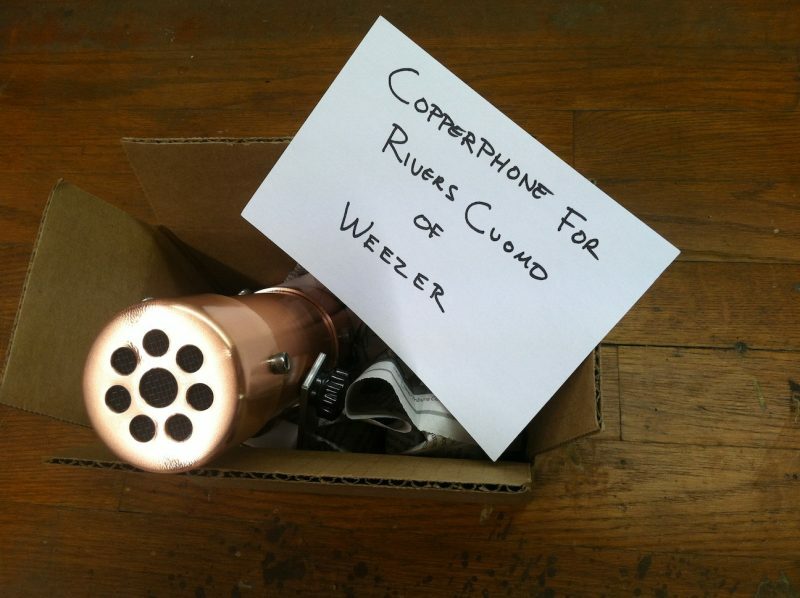 This lucky Copperphone is now in the hands of Weezer front man, Rivers Cuomo. Ten years ago today the Placid Audio Copperphone made national headlines when it inadvertently caused a scare and shut down DFW airport… I’m guessing the incident probably cost the airline industry a few million with all the cancelled and delayed flights! On another note, it is now perfectly safe to pass through security and fly with a Copperphone. The TSA is fully aware of this non threatening invention of a microphone…. 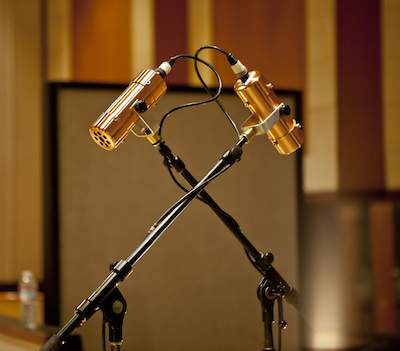 Dual Copperphones at Ocean Way Studios! Veteran scoring mixer/engineer Michael Aarvold sets up dual Copperphones at historic Ocean Way studios. 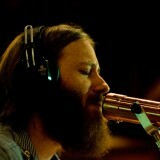 The Black Keys – Dan Auerbach and the Copperphone! Unknown Mortal Orchestra and The Copperphone! Lou Barlow and The Copperphone! A haunting performance from Lou Barlow (formerly of Dinosaur Jr. and Sebadoh).